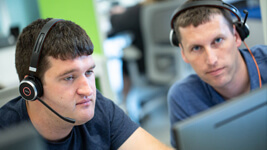 The Dynatrace Support team consists of technical professionals dedicated to helping you optimize your Dynatrace solutions. Dynatrace Technical Support Engineers are experts who provide troubleshooting of Dynatrace software and Subscription services. The Support team will manage and resolve your product related technical issues, or escalate the issues to Engineering and Product Management as needed. 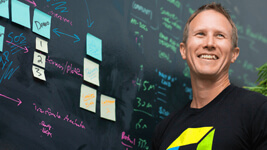 Dynatrace offers two levels of support for its customers: Standard and Premium. Standard support is available for customers that are current on their maintenance renewals and SaaS subscriptions. The following table provides an overview of the two support levels. 1 Local time defined by the time of day at the location of the customer creating the support ticket. 2 Excluded Customer Support holidays and dates are listed here. 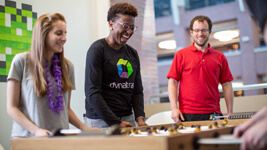 Standard Support provides access to Dynatrace&apos;s award-winning Dynatrace Community, a 24/7 online customer portal that brings together an active community forum, documentation, thousands of knowledgebase articles, Dynatrace University where you can advance your APM career, and an integrated support ticket management system that provides insight throughout the engineering and product management teams. Access to our Technical Support team is available Monday through Friday between 9am and 5pm, local time. Initial contact response targets are based on the severity of the issue. 1 Cluster updates are fully automated. Customers may delay updates but cannot skip them. Stricter Initial Response SLAs – Severity 1 tickets have an initial response target of two hours. Severity 2 tickets have an initial response target of four hours. Priority Handling of Cases – Tickets are handled ahead of Standard Support tickets. This ensures the fastest solution to your reported question or issue. Early Access Program – Premium Support customers are offered the opportunity to be included in the review of new features and capabilities before they become generally available. Customers interested in learning more about Premium Support should contact their Customer Success Manager or Sales Account Representative. Ask a question in the product forums. Read or download product documentation. Search for and download fixes to known problems. Order or download maintenance and new product releases. Open a support ticket if a solution cannot be found in the Dynatrace Community. Watch free training modules and get certified in Dynatrace University. Support tickets can be entered 24x7x365 from within the Dynatrace Community. Tickets will be handled by their severity, level of support the customer is subscribed to (Premium or Standard), and the order in which they are received. A Support Engineer will provide a response within the stated initial response time to ensure that your issue is handled in a timely manner. Phone access to Support Engineers is available only with a Premium Support subscription/entitlement. To help accelerate the resolution of an issue, it is recommended that the customer first create a support ticket via the Dynatrace Community to capture all relevant information, screenshots, etc. prior to calling a Technical Support; however, this is not required. For Standard Support customers, inbound telephone support is not available. A support engineer may choose call back if this method is required to properly handle the reported issue in the online ticketing system. To provide the highest level of service to our customers, all technical support will be conducted in English. This allows all tickets to be efficiently handled by the entire Technical Support team, and it offers quick escalation to the Engineering teams if needed. Tickets or phone calls taken in languages other than English will be translated and handled in English throughout the resolution of the ticket. Service Levels will not be enforced for tickets that are submitted in other languages. Dynatrace is committed to providing effective and reliable support for its products. This includes communicating early about the planned end of life for a given version as well as providing manageable upgrade paths. Standard Support is only offered for product versions that are within the support timeframe. The supported versions are documented on the Dynatrace Community under Support Levels and End-of-Life Policy, posted for each product. For third party software products with which the Dynatrace product interfaces, Dynatrace will follow the End of Life ("EOL") timeline announced by the specific vendors around platform support, which means Dynatrace will announce EOL for support of the specific platform once the provider of the software announces it and will drop support for that platform once the software vendor for that platform stops supporting that version unless otherwise specified in the product documentation. 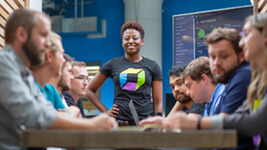 Dynatrace customers that are current on their maintenance fees are entitled to receive all new releases of licensed software products as they become generally available, and are entitled to receive all updates and revisions to the licensed software products including updates to the product documentation. Dynatrace will attempt to correct or replace the licensed software under the maintenance plan and/or provide services necessary to remedy programming errors attributable to Dynatrace. 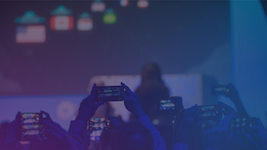 Visit the Dynatrace Community to see a detailed description by product area: Dynatrace (SaaS & Managed), Application Monitoring (AppMon) & User Experience Management (UEM), Datacenter Real User Monitoring (DC-RUM), and Synthetic Classic. 1: Critical Unable to continue business operations/using Dynatrace = Application down or Product down. No workaround available. 2: High Significantly limited in business operations/using Dynatrace = Periodic/partial downtime or core functionality not available anymore. No workaround available. 3: Medium Able to continue business operations/using Dynatrace = Product stable but Dynatrace functionality with medium/low impact not available/working as expected anymore. Workaround exists for critical issues. 4: Low Informational = questions that cannot be asked publicly (eg. confidential data), documentation error, minor product issues. Initial response time is the time within which customers will receive confirmation of receipt of an inquiry, including a ticket tracking number, and an expectation as to when a resolution or update should be expected. Initial response times are determined by the severity of the issue and level of support the customer is entitled to. Customers may request that a ticket be escalated if the subject of the request involves a system critical issue or an extremely complex problem, or an unreasonable amount of time has elapsed with no resolution after the escalation thresholds have passed. To escalate a ticket, the customer should submit their escalation request within the Online Ticket Management system. This request should include the reason for the escalation request. Outlined below are steps you can take, when possible, to make your interaction with the Technical Support team more effective. The more detail that you can provide about an issue, the quicker the support team can troubleshoot and resolve the issue. Tickets will be handled in the order of their severity, level of support, and the order in which they were received. Product Name – Selecting the proper product from the available list will ensure that the ticket is researched by the best technical resource. Product Component – Select the specific area within a product. Affected Version – If applicable, provide the version and build number for the software component experiencing the issue, as well as basic hardware specifications including operating system, version, and patch level. Summary / Description – Provide as many other details about the issue as possible, including any co-existing issues that you may be experiencing with your application, or any recent updates or changes that may have been made to your application. Provide the results of any troubleshooting measures you may have already undertaken, or the steps that can be followed to reproduce the issue. Provide your previously assigned Dynatrace support ticket number. Provide all the information listed above (On-Line Ticket System) or any changes to information that had already been included in the ticket. Provide any additional details about your issue since you were last in contact with the Technical Support team. To ensure proper handling and access for Premium Support customers, provide an account PIN or other form of account identification. Access to Dynatrace’ Maintenance Program, including all Support Services and Dynatrace University, requires an active maintenance or subscription contract. 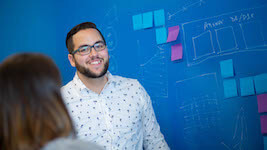 Customers with these contracts, specifically all of their respective employees and partners involved in the use of their properly licensed Dynatrace products, have unlimited access to these resources. Timely renewal of these contracts is key to ensure access remains uninterrupted. Customers with auto-renewal commitments in their maintenance agreements, who have affirmed continued Support Services, can be assured that their access to these resources will not be hindered due to any reasonable delays in purchasing processes. For those without auto-renewal commitments, delays in providing proper purchase authorization to Dynatrace may hinder access to Support Services, as well as SaaS-based portals. Please contact your Dynatrace Customer Success Manager, or Renewal Specialist, for more information related to this. For the most up to date information on Dynatrace support, visit https://www.dynatrace.com/support/.